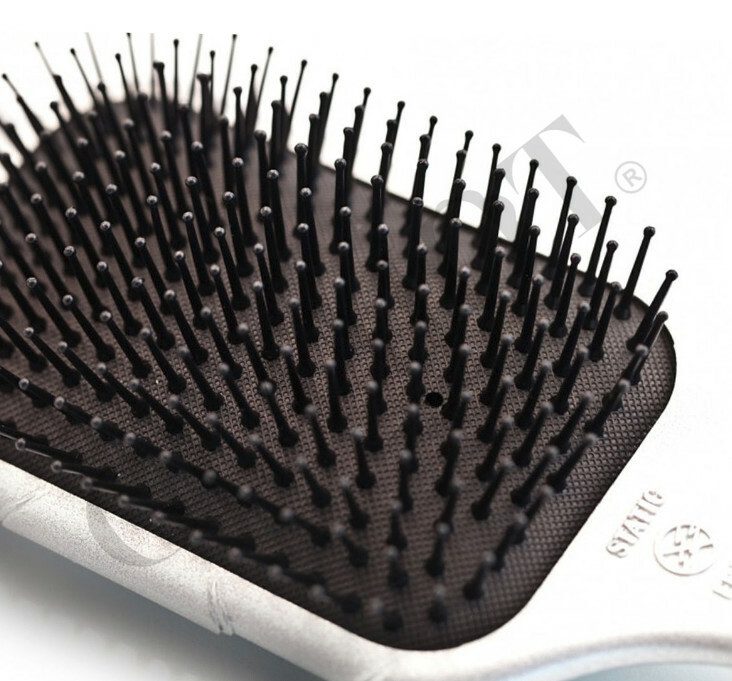 Special padle hair brush with ionic construction. Designed for use with Bio Ionic Ion-Conditioning Dryers to achieve maximum results. 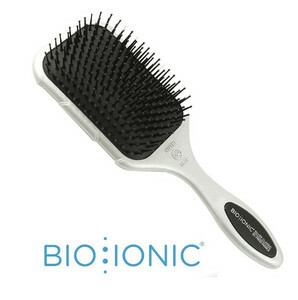 Patented Natural Ion Complex is molded right into their heat resistant bristles. These ion-emitting bristles smooth the hair, eliminating frizz and fly-aways. NanoIonic TM Hybrid Mineral molded into the bristles and the barrel emits the highest levels of negative ions and far infrared energy.